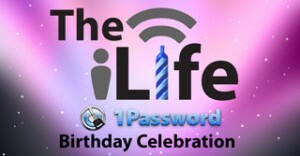 Once again, Happy Birthday The iLife! Happy Birthday, iLife. Here’s to another 250 posts! It’s nice to see a company lend a helping hand for The iLife’s birthday. Happy Birthday! Keep up with the great posts! Just found this site recently. I like what i’ve seen so far. Keep up the good work! Don’t tell anyone your wish before blowing out that candle. Happy Birthday. It is so nice to see that someone cares about the others and not just themselves.